Reuters Arabic reports that the Saudi invasion of Bahrain on Monday has inflamed sectarian passions in Iraq. Likewise it has angered Iran, which openly condemned the move. Sectarian tensions are boiling throughout the Gulf. Security forces, possibly including Saudi troops, moved Wednesday morning against the hundreds of protesters still camped out at the Pearl Roundabout downtown. Eyewitnesses told CNN of gunfire and plumes of smoke rising during the assault on unarmed, peaceful civilians. On Tuesday, hundreds had been wounded as troops fired on protesters, thousands of whom marched on the Saudi embassy. The five leading Shiite clergymen warned of an impending massacre and called on the UN and other international bodies, as well as on Shiite authorities elsewhere, to forestall it. 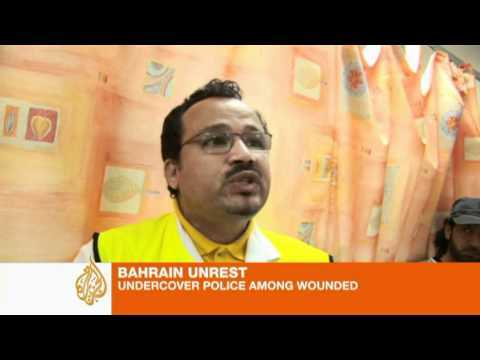 There are roughly 560,000 citizen residents of Bahrain, about 370,000 of which are Shiite Muslims (i.e. about two-thirds of the population). The king and the court and a minority of citizens are Sunni. There are also 300,000 Indian expatriates, about a third of them Hindus, along with other guest workers who bring the total population to 1.2 million. On Monday some 1000 Saudi fighters, along with some from the United Arab Emirates, came in to protect the Sunni King from Shiite demonstrators, some of whom had been calling for his overthrow. King Hamad bin Issa Al Khalifa on Tuesday declared a 3-month state of emergency, effectively forbidding further demonstrations by the Shiite majority. Strict Wahhabi Saudi Arabia carefully regiments its own Shiite population (about 12%) in the oil-rich Eastern Province, and is thought to have been concerned that the Bahrain protests might encourage Saudi Shiites to follow suit. Likewise, because of the popularity of the ideas of Ayatollah Ruhollah Khomeini, leader of the 1979 revolution against the Shah, some Shiites are republicans in the sense of rejecting monarchy, and both the Saudi and Bahrain dynasties fear them as Gulf Tom Paines. In fact, most Saudi and Bahrain Shiites have simply been calling for constitutional monarchy and parliamentary governance, a call that is controversial only because both governments are absolute monarchies. Saudi Shiite cleric Tawfiq al-Amer was briefly jailed for demanding a constitutional monarchy. 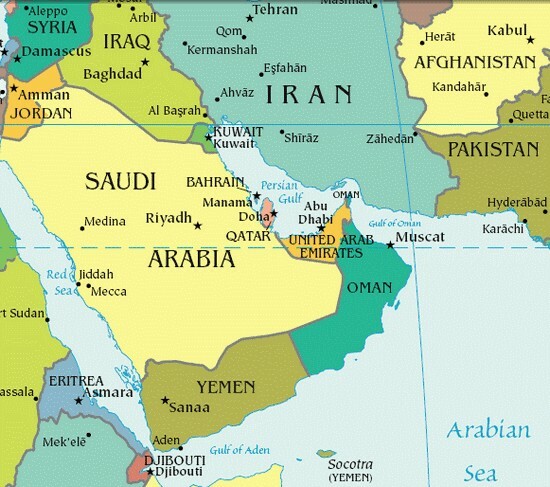 Iran angrily denounced the Saudi troop presence in Bahrain, authorized by the six-nation Gulf Cooperation Council (GCC). Ali Larijani, speaking on behalf of the Iranian parliament, said, “The Islamic Consultative Assembly (parliament) cautions the regional states that they should not imagine such a military intervention, which is happening at the US orders, would have no costs.” Iran is 90% Shiite and is ruled by a Shiite cleric. Khalid al-As’adi, a member of parliament from the Shiite State of Law coalition led by Prime Minister Nouri al-Maliki, said that the Saudi intervention and that of other Sunni countries, at the invitation of the Bahrain government, will only exacerbate the sectarian struggle. Iraq is 60% Shiite and is ruled by a coalition of Shiite religious parties.